For the 1932 assassination attempt, see Sakuradamon Incident (1932). The Sakuradamon Incident (桜田門外の変, Sakuradamon-gai no Hen, or 桜田門の変 Sakuradamon no Hen) was the assassination of Japanese Chief Minister (Tairō) Ii Naosuke (1815–1860) on 24 March 1860 by rōnin samurai of the Mito Domain, outside the Sakurada Gate of Edo Castle. In 1860, Ii Naosuke was the most influential advisor to the shogunate. Ii, a leading figure of the Bakumatsu period and a proponent of the reopening of Japan after more than 200 years of seclusion, was widely criticized for signing the 1858 Treaty of Amity and Commerce with the United States Consul Townsend Harris and, soon afterwards, similar treaties with other Western countries. From 1859, the ports of Nagasaki, Hakodate and Yokohama became open to foreign traders as a consequence of the Treaties. Ii was also criticized for reinforcing the authority of the Tokugawa shogunate against regional daimyōs through the Ansei Purge. 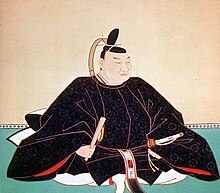 Naosuke made strong enemies in the dispute for the succession of Shōgun Tokugawa Iesada, and because he forced retirement on his opponents, specifically the retainers of Mito, Hizen, Owari, Tosa, Satsuma and Uwajima. These policies generated strong sentiment against the Shogunate, especially among proponents of the Mito school. The assassination took place on 24 March 1860, on Double Third Festival where all daimyos stationed in Edo (modern Tokyo) are scheduled to enter Edo Castle for meetings. The assassins attacked Ii's entourage just outside the Castle, near the Sakuradamon (Sakurado Gate) when Ii was reaching the premises. Ii had been warned about his safety, and many encouraged him to retire from office, but he refused, replying that "My own safety is nothing when I see the danger threatening the future of the country". Ii's entourage was composed of around 60 samurai guards and Ii's palanquin carriers. 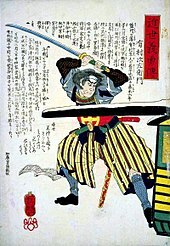 A total of 17 Mito rōnin ambushed Ii together with Arimura Jisaemon (有村次左衛門), a samurai from Satsuma Domain. While an attack at the front drew the attention of the guards, a lone assassin fired one shot into the palanquin containing Ii, with a Japanese-made Colt 1851 Navy Revolver, which had been copied from the firearms that Commodore Matthew Perry had given the shogunate as gifts. Drawing the injured and likely paralyzed Ii out, Arimura decapitated Ii and then performed seppuku. While fully aware of the necessity for some change in policy since the coming of the Americans at Uraga, it is entirely against the interest of the country and a stain on the national honour to open up commercial relations with foreigners, to admit foreigners into the Castle, to conclude treaties with them, to abolish the established practice of trampling on the picture of Christ, to allow foreigners to build places of worship for the evil religion, and to allow the three Foreign Ministers to reside in the land ... Therefore, we have consecrated ourselves to be the instruments of Heaven to punish this wicked man, and we have taken on ourselves the duty of ending a serious evil, by killing this atrocious autocrat. —  Manifesto of the Sakuradamon conspirators. Accounts of the violent event were sent via ship across the Pacific to San Francisco and then sped by pony express across the American West. On June 12, 1860, The New York Times reported that Japan's first diplomatic mission to the West received the news about what had happened in Edo. The popular upheaval against foreign encroachment and assassination of Ii forced the Bakufu to soften its stance, and to adopt a compromise policy of kōbu gattai ("Union of the Emperor and the Shogun") suggested by Satsuma Domain and Mito Domain, in which both parties vied for political supremacy in the years to follow. This soon amplified into the violent Sonnō Jōi ("Revere the Emperor, Expel the Barbarians") movement. For the following years until the fall of Bakufu in 1868, Edo, and more generally the streets of Japan, would remain notably hazardous for Bakufu officials (see attack on Andō Nobumasa) and foreigners alike (Richardson murder), as the Sonno Joi movement continued to expand. According to Sir Ernest Satow: "A bloody revenge was taken on the individual [Ii], but the hostility to the system only increased with time, and in the end brought about its complete ruin". The conflict reached its resolution with the military defeat of the Shogunate in the Boshin War, and the installation of the Meiji Restoration in 1868. Tsuruga: The city which reconciled Mito and Hikone. Samurai Assassin : 1965 film inspired by the incident. ^ a b c Watanabe, Hiroshi (2001). The Architecture of Tokyo: An Architectural History in 571 Individual Presentations. Edition Axel Menges. p. 39. ISBN 9783930698936. ^ Satow 2006, p. 31. ^ Satow 2006, p. 33. ^ a b Morishima, Michio (21 June 1984). Why Has Japan 'Succeeded'? : Western Technology and the Japanese Ethos. Cambridge University Press. p. 68. ISBN 9780521269032. ^ Murdoch 1903, p. 698. ^ Murdoch 1903, p. 697. ^ Murdoch 1903, p. 702. ^ "The Japanese in Philadelphia". The New York Times. 12 June 1860. ISSN 0362-4331. Retrieved 22 March 2018. ^ Tsuzuki, Chushichi (13 April 2000). The Pursuit of Power in Modern Japan 1825-1995. Oxford University Press, UK. p. 44. ISBN 9780191542459. ^ Satow 2006, p. 34. Murdoch, James (1903). A History of Japan. 3. Psychology Press. ISBN 9780415154178. Satow, Ernest Mason (2006). A diplomat in Japan. Berkeley, Calif.: Stone Bridge Press. ISBN 9781933330167. OCLC 646791008. This page was last edited on 9 December 2018, at 03:18 (UTC).